The Fall Season is in full swing and so is everything else pumpkin-flavored. I love pumpkin and pumpkin pie! So here are some healthy, on-the-go options we’ve tried during our Healthy Foodies event and it was a hit with the moms and kiddos! Add all of the ingredients to the blender in the order listed. Blend on high for at least 3 minutes or until smooth – this may take longer if your blender isn’t very strong. Scrape down the sides of the blender as needed. Add more milk to thin out if it is too thick. Add a couple more ice cubes for a thicker texture, if desired. Add more spices to taste, if desired. 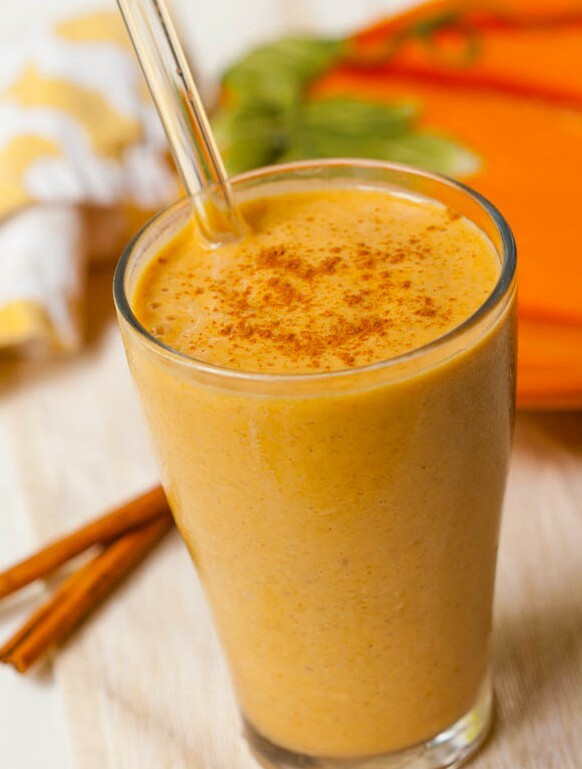 Mix it all together & top with cinnamon and additional spices to your taste, such as nutmeg, cloves, ginger, and cardamom. Have you tried it?! Have a great recipe of your own to share, do so in the comments below. 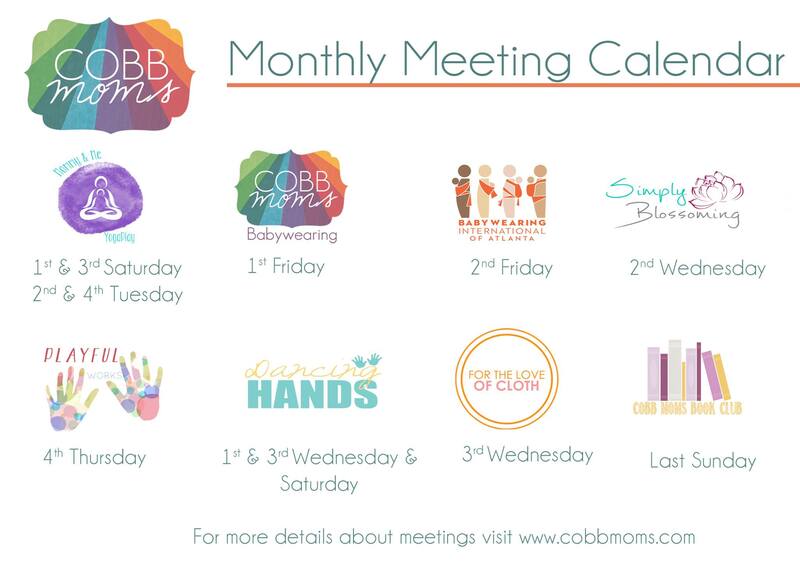 Every month I run a meeting with one of my local mom groups, C.O.B.B. Moms, called Holistic Foodies. Holistic Foodies is an interactive workshop to help educate and inspire healthy cooking for the whole family while staying on a budget. Our goal is to teach the components of healthy nutrition as well as practical skills and suggestions on meal preparation, food combinations, and adventurous cuisine that is delicious, mindful, and affordable. So here’s one of the delicious recipes we demo-ed yesterday that got the thumbs up approval from both busy moms and picky kiddos. Roasting the squash: Slice the squash lengthwise and rub a drizzle of oil all over the cut side of both squash halves and sprinkle with salt and pepper. Place cut side down on a baking sheet and bake about 30 to 45 minutes, or until the squash is just tender enough to scrape into strands. You want it to be barely tender, it will continue cooking later. Remove from the oven and scrape the squash into strands. Reduce the oven to 350 degrees F.
While the squash bakes, make the sauce. In a large skillet, cook 1 tablespoon of olive oil. Add the onion, bay leaf, thyme and sage and cook, stirring until the veggies are softened, about 5 minutes. Push to the veggies to the side of the pan. Increase the heat to medium-high. Add 1 tablespoon olive oil to the center of the pan and crumble in the chicken sausage and cook without stirring for 3 minutes. Break up the meat and continue to cook, stirring occasionally until well browned, about 3 minutes. Add the tomatoes or pasta sauce, basil and water if necessary to the skillet. Simmer, stirring occasionally until thickened, about 15 minutes. Season with salt and pepper. Remove from the heat. To assemble the boat: Remove a little of the squash strands. Then place a layer of the meat sauce on top of the remaining strands, then layer the removed squash strands and add another layer of the meat sauce. Lastly, top with shredded mozzarella cheese. Place the squash on a baking sheet and bake for 20-30 minutes at 350, or until the squash are warm throughout and the cheese is browning. Remove from the oven and let sit 5 minutes. Garnish with fresh herbs! The Fall Season is upon us and in Georgia that means that the weather is yo-yoing temperature-wise, from chilly mornings to very pleasant sunny days and crisp evenings! Currently I’m adjusting my cooking to fit the mood of the season. So in the process, I get an opportunity to try new recipes and tweak the old ones. Here are a couple examples of such. I love quinoa because it’s a complete protein, gluten free seed that you can prepare to fit any occasion. 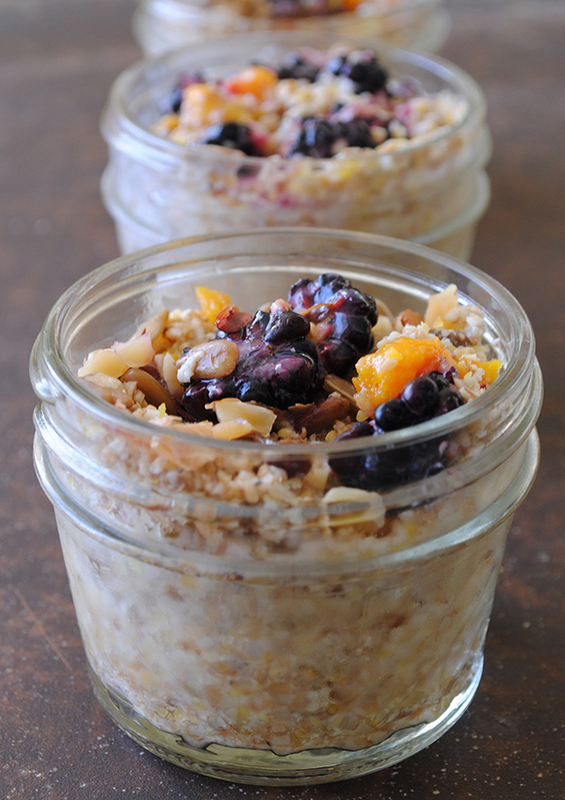 In addition, I’m adding a very simple oatmeal recipe that does not require any cooking and turns out delicious. cup of quinoa + 2 cups of water = 3 cups of cooked quinoa), turn the heat to medium-high, and wait for the boil. fluffy. Add salt to taste. Wash & dry greens; chop if necessary to make it easier to eat. Grate carrots; mince celery; chop onion; cut tomatoes in halves; cut avocado in cubes. Place it all in a large bowl. Dice feta and set aside. Whisk lemon juice, olive oil, honey, garlic, and spices. 2 tablespoons of sliced nuts (almonds, walnuts, etc). seeds from clumping and then put the jar in the fridge overnight to set. In the morning, shake some more. Pour into a bowl and top with fruit, nuts, coconut, and spices. August kicks off all things #breastfeeding, which means that we have been center stage for some of the wonderful local events to support and normalize breastfeeding. It goes without saying that breast milk is the perfect nutrition for the baby! Breast milk provides the ideal natural nutrition with significant immunologic, psychological, social, economic, and environmental benefits. We kicked off World Breastfeeding Week on Saturday, August 2nd with The Big Latch On – Marietta, a local event organized by C.O.B.B. Moms that supports breastfeeding. We had over 50 moms that participated with their babes in the official count of latched moms, plus an additional 100 participants and vendors! Dr. Tijana shared some nutritional tips for healthy breastfeeding to benefit both mom & baby. We had a great showing of community support in the Greater Atlanta area! We’re deeply appreciative of everyone who came out and supported breastfeeding moms & their families! There were other locations taking place all around Atlanta! We’re certainly very excited about helping to organize next year’s #BLOmarietta event! In continued support, we will be a part of this Saturday’s event, A Day In The Park, with the mission of “Breastfeeding: A Winning Goal For Life” to protect, promote, and support breastfeeding. The event is organized by the Cobb & Douglas Public Health WIC Breastfeeding Program with the West Georgia Breastfeeding Coalition. Come out and show your support by participating with many local and national vendors! Stop by our table for some FREE giveaways! We are very passionate about helping breastfeeding moms and babies through chiropractic, nutritional, and emotional support. But not all breastfeeding is as easily achieved as it is often assumed for many different reasons. Our goals is to provide you with educational and practical applications in order for you to make the best choice for you, your baby, and family. We are here to help and offer support in whatever capacity we can and without judgement, so feel free to ask questions and ask for help. If we can’t help you, we have a great number of resources that we can share with you and direct you to other breastfeeding support specialists! One of the most common problems in the pediatric population are ear infections (otitis media). Middle ear inflammation is the accurate description as there is no actual infection present, in most cases. Almost half of all children will have at least one middle ear infection during their first year, and by age three, over two-thirds of all children will have had at least one middle ear infection. Causes of ear infections can be complex and multifaceted, including allergy, infection,mechanical obstruction, and nutritional deficiency. Many cases of chronic ear infections are due to food or airborne allergies or hypersensitivity reactions. Allergies can cause significant pressure changes within the middle ear, as well as obstruction of the Eustachian tube. The most common allergens implicated in ear infection are cow’s milk and dairy products, wheat, eggs, chocolate, citrus, corn, soy, peanuts or other nuts, shellfish, sugar, and yeast. Dairy is the number one contributor to childhood ear problems. Proper allergy management, such as elimination and rotation diets, can produce dramatic recovery in allergic children with chronic ear infections. If immune function is lowered for any reason, bacteria or viruses from the nose or throat can find their way into the middle ear and contribute to an ear infection. When these germs multiply, pus builds up behind the eardrum and increases the pressure, which leads to pain and swelling in the ear. Often a common cold with a stuffy, runny nose or a cough precedes the ear infection. The obstruction of the Eustachian tube can be due to a mechanical misalignment. This blockage is due to problems of the structural components around the ear and eustachian tube, including the bones of the jaw, skull and neck, which move gently in synchronization with one another. The movement of these bones allows for the proper movement of the fluids in the head, including the fluids connecting between the sinuses, Eustachian tubes and ears. Many things can change the proper movement of the bones in the head, including falls, recurrent infections, and the trauma of birth (especially if tools were used). Since an ear infection contains fluid that accumulates behind the ear drum, gentle movement of the bones of the head to allow drainage of the fluid can prevent and cure such an infection. Craniosacral work is the gentle movement of the bones of a child’s head and sacrum. 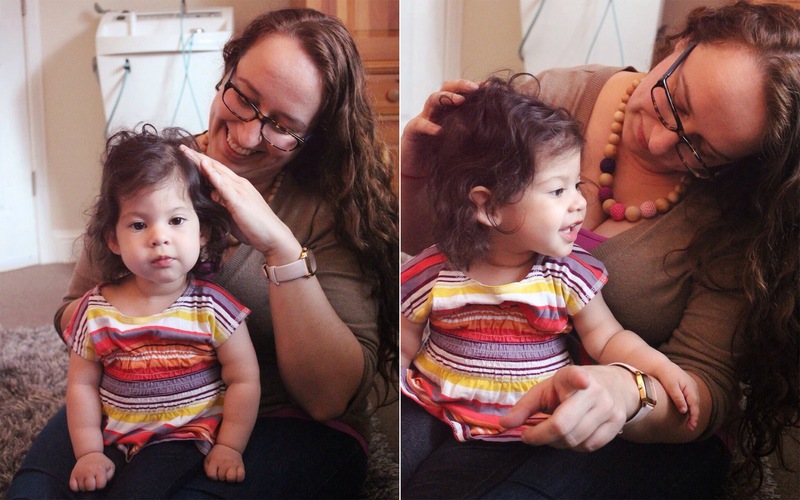 Using craniosacral work for treatment and prevention of ear infections is especially helpful. Seek out a pediatric chiropractor, who specialize in cranial work for your child. An organic, unprocessed, whole foods diet, low in sugar, is essential for creating good health with high immune function. Dietary fats, such as Essential Fatty Acids (EFAs), are essential to normal immune and nervous system function, while reducing the predisposition to recurrent infections and inflammatory conditions. Essential fatty acids are found in flax oil, evening primrose oil, borage seed oil, krill oil, and fish oil. This should ideally be started by the mother while she is pregnant and during breast-feeding. One or two teaspoons per day of flax oil, depending on age, may be all the child needs. 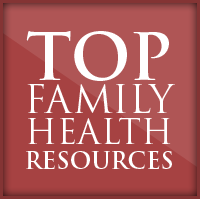 Deficiency of certain vitamins or minerals can weaken a child’s immunity. It is valuable to give children a good multivitamin and mineral supplement. Vitamin C, vitamin A, and zinc are essential to the immune system, protecting against ear infection, and the conversion of fatty acids, respectively. Supplementation of the diet with intestinal bacteria is important to healthy immunity, especially if a child has been on antibiotics. L. acidophilus is recommended for children over age seven, and B. bifidus for children under seven. Breastfeeding is important to ensure that a child has a healthy immune system. Mother’s milk contains all the immune protecting complexes the child needs. Also, the sucking action required to breastfeed also helps the Eustachian tubes open and close, which makes a difference in the frequency that a child is likely to get ear infections. Ear infections are rarely an emergency and usually will get better without antibiotic treatment, which is what is typically prescribed. A reasonable approach in treating a child with an ear infection, who is otherwise healthy, is to wait four days and see if the body will recover without antibiotics. If after four days, the infection has not gone away, antibiotics may make a difference. Keep in mind that if an allergic child continues to be exposed to an allergen, or if the main cause is not resolved, recurrent infections are likely. From the perspective of the whole person, giving medications to block and suppress an illness can push the illness further into the body. Anti-inflammatory drugs block the formation of some chemicals that promote inflammation, while also blocking chemicals that naturally prevent inflammation, as well as trigger the release of substances that make inflammation worse. Allergens: Remove food allergies and hypersensitivities. Positioning: A child should not lie down on his or her back to drink a bottle or feed, to be less likely to push fluids into the Eustachian tube. Breastfeed as much as you can, even more during a symptomatic period of earaches. Utilize nutritional supplements: EFAs, vitamin C & A, zinc. Probiotics to promote healthy intestinal bioflora. Consult with your holistic physician about use of antibiotics. Consult your pediatric chiropractor about gentle craniosacral work. 1. Kale: Packed with a powerful antioxidant nutrients from vitamin C, beta-carotene, and lutein. In addition, it contains a phytonutrient sulforaphane, along with brocolli and Brussels sprouts, which have shown cancer-fighting properties. You can eat kale in salads, steamed, sauteed, in juices and smoothies, as well as in delicious kale chips. 2. Spinach: Rich in folate and potassium for protection against cancer and proper muscle function, respectively. Spinach contains glycoclycerolipids, the main fat-related molecules in the membranes of light-sensitive organs where photosynthesis is carried out by plants. These molecules serve as protection for the lining of the digestive tract from damage, such as systemic inflammation. 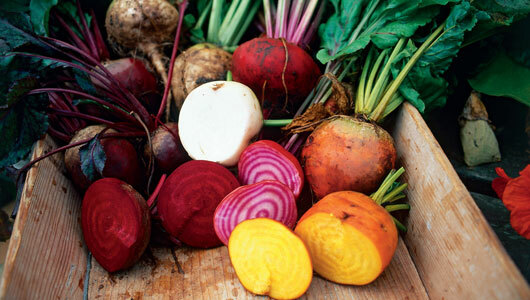 Also, rich in vitamins C/E/K/A, beta-carotene, iron, manganese, zinc, and selenium. 3. Microgreens: Underdeveloped combination of greens (kale, arugula, and broccoli) are harvested just one to two weeks after planting and are packed with vital nutrients, such as vitamins (C & E), minerals, and antioxidants that are needed to support the growth of developing plants. Harvesting not-yet-mature plants ensures that they will be still packed with more of the healthy nutrients. Ranging in flavor from peppery to tangy, microgreens can be used in salads, soups, and sandwiches. 4. Arugula: A pungent, peppery flavor works in a variety of recipes and it is an excellent source of calcium to support bone-building. Additionally, arugula has high levels of natural nitrates that the body utilizes to increase muscle blood flow for efficient muscle function during exercise. 5. Collard Greens: Packed with vitamin K, vitamin C, beta-carotene, and higher amounts of dietary fiber than other leafy greens. The collards have large, leathery leaves and a mild flavor, but take longer to cook due to high fiber content, which has protective benefits against heart disease. 6. Mustard Greens: Full of beta-carotene that converts to vitamin A for eye and bone health, and phytonutrients / glucosinolates that can rev up detoxification enzymes against free-radical damage in liver and other organs. 7. Swiss Chard: Packed with loads of vitamin K that is responsible for blood clotting, fortifying bone strength, and reducing the risk for type 2 diabetes by improving insulin sensitivity. 8. Boston/Butterhead Lettuce: Full of a good dose of vitamin K and manganese, a mineral necessary for proper carbohydrate and protein metabolism. Try using the large pliable raw leaves for making wraps as a lower calorie option. It is also a hydrating fresh summery choice! 9. Romaine Lettuce: Include nutrients of beta-carotene, folate, potassium, and vitamin C. Store in the refrigerator wrapped in a damp paper towel for up to 3 days to preserve the head of romaine. 10. Iceberg Lettuce: Made up mostly of water, it helps keep hydrated and enjoy the crunch in sandwiches, tacos, and mixed green salads. Spread avocado mixture on small corn or whole-wheat tortillas and top with egg mixture and shredded iceberg lettuce. With the machine running, pour in 1/4 cup extra-virgin olive oil through the feed tube and blend until just slightly chunky. With machine running, pour in 1/4 cup olive or walnut oil and mix until fully combined. Preheat oven to 350 degress. Tear 1 bunch Swiss chard leaves into fairly large pieces. Toss with 1 tablespoon oil, 1 teaspoon garlic powder, 1/2 teaspoon smoked paprika, and 1/4 teaspoon salt. Place leaves on two baking sheets (or prepare in batches) and bake until crispy, about 15 minutes, being careful not to burn leaves. Are you pregnant or know someone who is? Come mingle with Georgia Birth Network birth professionals over some yummy desserts. Meet doulas, prenatal chiropractors, child birth educators, lactation consultants massage therapist and birth photographers. Drop by anytime between 7-9pm. RSVP if you can! Have additional questions? Contact below in comments, via Email, Website, Facebook, or Twitter?! Call Dr. Tijana at 770.609.5544 to schedule your FREE consultation and your comprehensive health assessment for YOU & YOUR FAMILY today! I have had the distinct pleasure of working with a little girl named Eliora, Rora as many know her, her brother Asher, and her family, at my healthy.BEing office. She is a sweet & loving baby girl who constantly spreads sunshine. She also happens to have spina bifida along with other related and unrelated conditions. So in an effort to to help support Rora’s current medical needs, there is a brand new, amazing campaign to help raise funds for this wonderful little girl (and her friends) & her ability to stand! There are tons of benefits to being upright – cognitive development, social development, bowel/bladder benefits, and so much more. All of these are applicable to Eliora and we know that standing will do so much for her. And imagine how “walking”, no matter how assisted, will help her with various areas of development. Have you all heard of the Upsee by Firefly? This would be an amazing way to help Rora stand and make strides physically and cognitively. The Upsee is going to cost around $500 and it’s going to be released in the US on April 7th,only a week away. The special needs community in the US is so excited – and very thankful that a mama turned her dream into a reality. The goal is to raise $1000: one for Eliora and one for another child, or multiple children, that could really benefit from this super awesome equipment. One of the ways to help raise the funds is to be a part of a special mini photo-session with two lovely friends, Heather Goodbread of Heather Goodbread / Photographer and Doula and Lovereen Moore of Lovely Portraits & Fine Art have collaborated and put together a little local shindig to help raise funds for the Upsees. Your participation of $100 gets you a mini session (themed around Eliora’s favorite things: babywearing, playing, dressing up) that includes digital files AND a custom silhouette portrait painting. Only 10 slots available. Happening this Thursday, April 3rd in Kennesaw, GA! The value of this is over $150, so you save some money and 100% of the funds go directly toward the Upsees. So please help in this effort by participating in this mini-session or giving generous through donating via PayPal at raising4rora@gmail.com! If nothing else, please share this post (or series of posts) as a big help with much appreciation. We are a community of families walking each other toward #healthyBEing!